For decades, if not centuries, we’ve written books about, lectured about, and trained about, the virtues of Open Questions. I’m here to denounce the myth that they are good in all instances: I actually believe they are used most effectively at the back end of the selling/buying cycle and have no role to play in the buying decision activity that occurs before buyers make their solution choice. Let’s first consider why they are used at all. 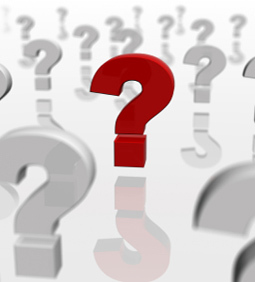 Questions, in and of themselves, create parameters for the questioned person. So if i asked you what you had for breakfast, you couldn’t tell me about a trip to visit your Mom. Questions effectively set the boundaries for your answer. These questions help sellers ‘understand’ the buyer. The belief here is that if the seller TRULY understands what is going on – with the problem that needs to be resolved, with the way the decisions are being made, with how they are choosing vendors, with past problems that surround the ‘need’ – s/he will be able to sell/pitch/present better. So….. does it work? Have Open Questions increased your sales? Has ‘knowing’ who the decision makers are gotten more sales, faster? Has ‘understanding’ the problem increased your close rate? I don’t think so. I believe that there are two very distinct elements in a buying decision: 1. the private, internal, off-line systems issues they must address that rarely have anything specifically to do with the ‘need’, and are managed in a way that must conform to their idiosyncratic norms – their relationships, Buying Decision Team needs, initiatives, future outcomes; 2. the choice of the best route to resolve a problem (includes solution, provider, price, and implementation). Sales very nicely manages #2. We sit and wait while they do #1 on their own and hope they’ll come back and buy. We use Open Questions in #2. The problem is that when we first meet our clients, it’s too early for them to know the complete, nuanced, answers to our questions – not in the detail they will know at the end of their buying decision process. They most probably have not en-massed their entire Buying Decision Team, or seen how some elements of the ‘problem’ must fit with other in-house issues, or fully defined their solution needs. Our perfectly fine questions are being asked way too early. One of the ‘dirty little secrets’ in my new book is that when buyers begin their search for a solution, they have little idea of the route they will end up taking on the way to choosing a solution: They don’t always know all of the people who end up needing to be involved, or how/if their regular vendors can handle the situation, or how the tech team will react, or if another department can help them with parts of the solution. What is discussed in those off-line discussions and negotiations that happen between department heads over lunch? Or the meetings with the tech team to see if they can resolve the situation? Or the conversations with the present vendor? Until or unless buyers do these things, they can’t buy. And Open Questions do nothing to help them. Open Questions are for the seller, and the information we gather does not help close the sale at this point in the buying decision cycle. The problem is that the main elements involved in buying decisions happen behind-the-scenes and are not based on our solution, and generally not even based on ‘need’ (which I call an Identified Problem). So we end up asking Open Questions far too early for them to have good data to share. I’ve developed something called a Facilitative Question that pulls together subconscious criteria (i.e. not information based) and acts like a flashlight to lead the buyer step-by-step down the path they must go through as they muddle through their internal decisioning issues. It’s actually a decision facilitation tool, not a sales tool. Because the issues that buyers must address first are so private (not to mention a mystery as they begin discovery of the people and policies they must include in decisions) we cannot be there when they do these things. But we can teach the buyer how to discover their route and bring together the right people. This may not ‘reveal’ but it certainly puts us on the Buying Decision Team. Would you rather ‘know’ how they buy (which you can’t anyway because you’re an outsider, you’re not there, don’t know all of the players, and have no history the problem), or be on the team that helps make the decisions? Facilitative Questions often start with ‘What’ and follow the decision phases that brains go through as they change: What has stopped you from losing those 10 pounds, and what would you need to be considering differently in order to know when it’s time to do so? At what point would you be choosing people to enlist on your health routine to get you where you want to be? We may be selling a gym membership, but until the person answers all of those internal questions for themselves, all the data we gather about their fitness, or what we share about the gym, won’t get them to buy. My new book, Dirty Little Secrets: why buyers can’t buy and sellers can’t sell and what you can do about it, coming out October 15, is all about the inner life of the buying cycle and how decisions get made to buy, to change, to solve a problem. Add this thinking – along with Facilitative Questions – to the front end of your Open Questions, and you’ll have a complete model to use to truly help buyers buy, help people change (i.e. use in your coaching), and help in a negotiation. How would you know that adding a new skill set to the one you’re currently using would enhance your results? And, what is stopping you from closing all of the sales you deserve to close? If you’d like to understand the decision issues your buyers face, please email me at sharondrew@sharondrewmorgen.com. Check out my book: Dirty Little Secrets: why buyers can’t buy and sellers can’t sell and what to do about it. Read two free chapters.